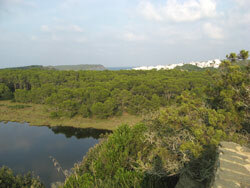 In 1993 UNESCO declared the island of Minorca Biosphere Reserve. This declaration has been conferred on 411 places on the planet where there exists an important natural and cultural heritage and where society has accepted an economic development compatible with the conservation of nature. A reserve of the Biosphere is an agreement of man with his natural surroundings. 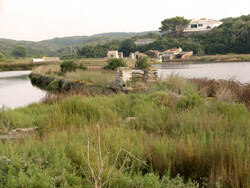 UNESCO considered Minorca worthy of this declaration for the diversity of its Mediterranean landscape and the species of animals and plants found exclusively on The island, some of which are in danger of extinction. Also valued is the traditional rural countryside present over a large part of the island and highly appreciated for the beauty of the scenery. The existence of an important archaeological and ethnological heritage was another important factor. The declaration of Biosphere Reserve compels us to take measures to prevent our heritage changing or deteriorating. Our aim is to find ways of developing which allow us to profit from the island's natural habitat while at the same time protecting it. 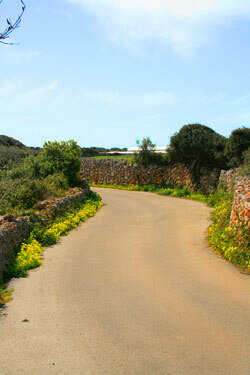 Menorcan public administrative bodies as well as non governmental organisations and companies on the island (many of which are involved in tourism) are working to achieve this object. selective rubbish collections, production of compost with urban organic waste, control or urban development, environment friendly care and control of the beaches, actions taken to protect the historical heritage, protection of plants and animals in danger of extinction, environment awareness in schools and an educational program on the importance of conserving our natural resources, etc. A great effort is being made but there is still a lot to be done. 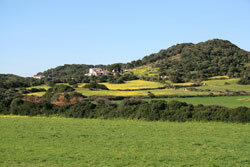 We are delighted that you are visiting our island and getting to know us. We would like you to share in our hope for the future, that the island will be better looked after as time passes and our quality of life will continue to improve. Even while you are on holiday there are some areas in which you can help achieve our goal. Save water and energy, respect the environment, take responsibility for your litter and waste, get to know our natural and cultural heritage, etc. We want you to feel at home and we ask you to behave as if you really were at home.